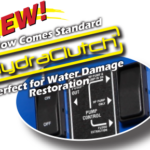 Comes standard with the HydraClutch™ pump clutch. 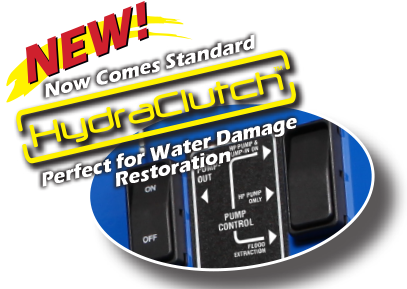 — Perfect for water damage restoration. Finally, you don’t have to put up with barely adequate performance to get an affordable entry-level machine. 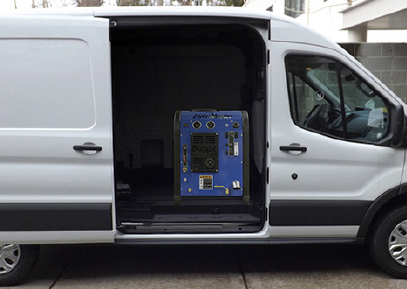 The Boxxer 318HP takes the entry level truckmount to new heights. 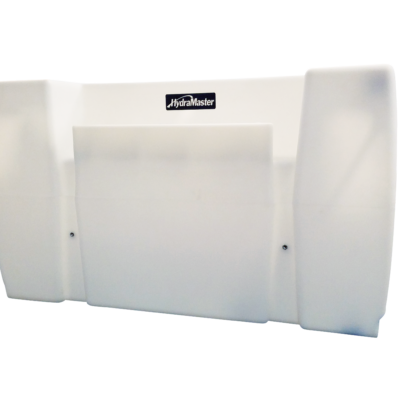 It’s perfect for operators who want to tackle residential and light commercial cleaning without making a major investment. 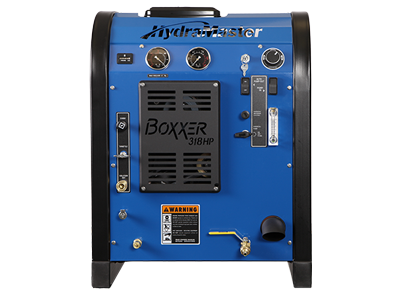 The Boxxer 318HP’s heat and pressure pack a big punch and you can rely on it to continue running for a long, long time. 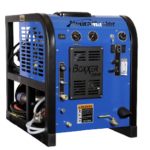 The Boxxer 318HP is a dedicated hard surface cleaning and pressure washing truckmounted extractor designed specifically to provide heated water at pressures up to 1500 psi, yet affordable enough to start your business or add to your carpet cleaning fleet. With the residential market share for carpet as a floor covering having fallen by 25-30% in the last 5 years, the market for restorative cleaning of tile, stone, and concrete floors is growing larger every year. 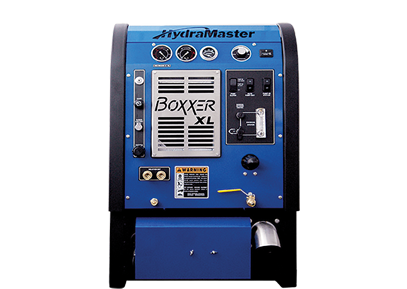 The Boxxer 318HP is equipped with several exclusive features which make it ideal for dedicated hard surface cleaning. 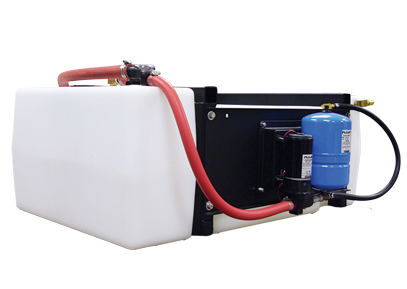 First, the chemical solution pump is constructed of stainless steel (Most truckmount chemical solution pumps are brass) with an integrated shut-off valve to deal with the higher pressures typically associated with hard surface cleaning. 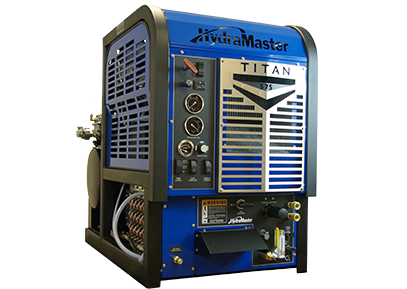 Secondly, a specially engineered heater coil is used to withstand the rigors of constant high pressure cleaning applications (up to 1500psi.) Finally, keeping the hot water flowing (180-210°F) even at higher pressures allows you to take advantage of the cleaning power of hot water to reduce chemical usage. 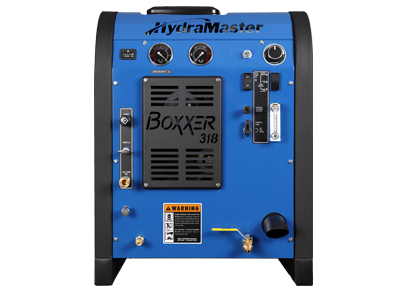 The Boxxer 318HP provides you with pressure washing capabilities, but with the powerful 3006 Competitor SL Vacuum Blower, you have waste water recovery capabilities no pressure washer has. 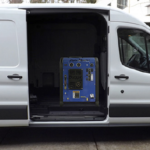 The powerful 1500 psi pressure is complimented by the fact the water is heated without using a secondary fuel source. Combined with the cleaning power of a rotary extraction cleaning wand like the HydraMaster RX20 or RX-15H, or a stationary hard surface wand, you have the capabilities to restoratively deep clean even the dirtiest grout lines in a stone or tile floor, without having to use labor intensive brushes. 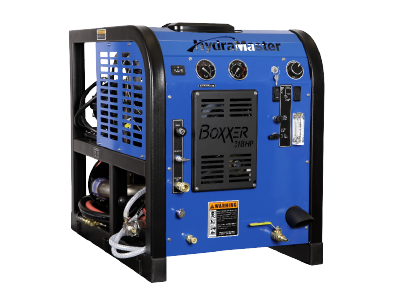 Keep in mind though, the Boxxer 318HP is fully capable of performing a high quality carpet cleaning job, meaning you never have to turn down any potential work. 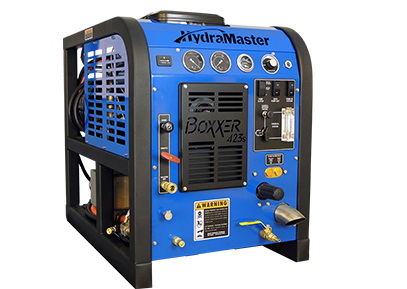 The Boxxer 318HP comes standard with the EVOLUTION RX12 rotary hard surface tool meaning you are equipped and ready to clean on day one.